Cheesecloth finds wide use in household, industrial, agricultural, and laboratory applications. For example, it appears in both ANSI ATCC ASN-002-2011: Authentication of Human Cell Lines and ANSI A137.1:2017: American National Standards Specifications for Ceramic Tile. From its name alone, it is somewhat obvious what cheesecloth is, but it is less clear what its applications are in a laboratory or operational setting. Cheesecloth bears its name from its origin and continued use in the production of cheese. Cheesecloth is a gauze-like cotton garment woven together tightly enough so that it is difficult for solids to escape while still allowing passage of liquids and gases. It is ideal for the production of cheese because it lets the animal product breathe as it ages and transpires. It is also an essential material for the creation of cheese curds, since keeps the cheese together while allowing the whey to dry out of what becomes the finished food product. 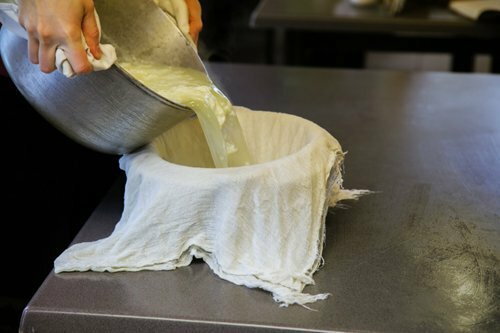 Closely related to cheesecloth is butter muslin, which has a somewhat tighter weave so it can be used for draining while still preserving a greater content of the vital moisture and butterfats in the cheese than with a cheesecloth. Cheesecloth has additional culinary uses other than the production of cheese. It can be used for lining colanders while straining liquids from solids. Aside from cooking purposes, the fabric has found many other uses. In the 1970s, cheesecloth was regarded as a great fashion item, often appearing in the form of shirts and loon pants. Both cheesecloth and muslin were used as props in a series of related hoaxes orchestrated by several apparent mediums in the early Twentieth Century, in which these individuals would conduct séances that resulted in the presence of “ectoplasm”. This substance was meant to demonstrate a successful connection with a being of another world, and it indicated that the medium had successfully crossed over in some way. An early example of these performances was by a woman named Helen Duncan, who appeared to be producing ectoplasm from her mouth. However, once skeptical researchers demonstrated that the performers of the séances used cheesecloth and muslin under low light to create what appeared to be ectoplasm, these processes were exposed as fraudulent. After an extensive history of cheese formation and occult practices, cheesecloth is now used for laboratory purposes. In ANSI ATCC ASN-002-2011, cheesecloth is defined as “loosely woven cotton fabric used for straining suspensions with particulate material”, so under the guidelines of that standard, it should be used primarily for straining materials. However, cheesecloth serves many different laboratory and operational purposes, for example, it can be used to determine flammability and in ANSI A137.1:2017, cheesecloth is used to clean off tiles following installation. 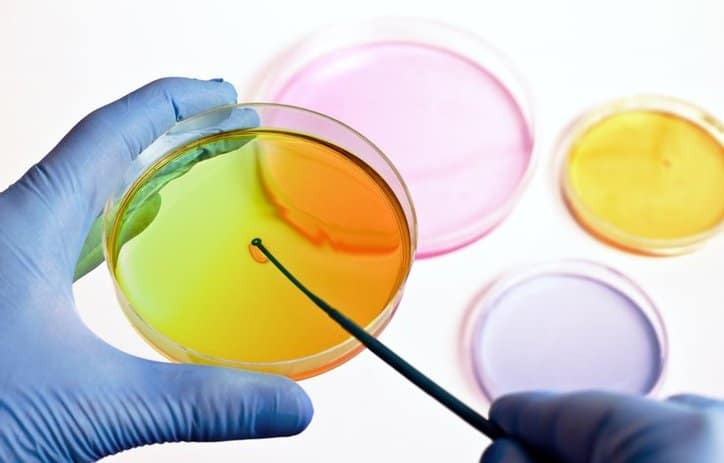 So why exactly does a material that was designed to form dairy products work so well in fulfilling multiple objectives in a laboratory setting? For the purpose of absorbing liquids and cleaning equipment, using cheesecloth is advantageous over using paper towels because it will not break apart. Cheesecloth also does not scratch most materials, which is important to clean equipment such as goggle lenses. Since it is a basic and inexpensive material that leaves little trace after use, cheesecloth is ideal for many of the processes that are laid out in different standards to prevent contamination and encourage cleanliness in laboratory operations.